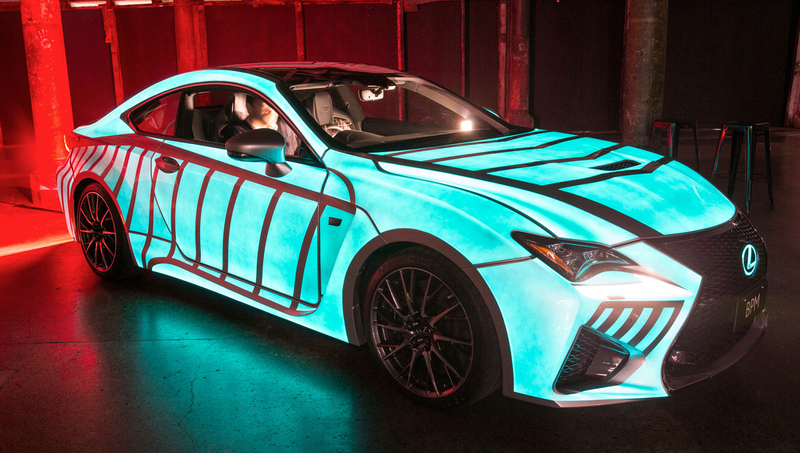 Lexus has created a one-off RC F that directly translates the driver's heart patterns into a visual display across the bodywork. Driving a great car can stimulate the senses and quicken the heartbeat, and the RC F is Lexus's most powerful production V8 coupe yet. The special model is the result of collaboration between Lexus and the creative agency M&C Saatchi. Different technologies have been integrated into the car to monitor the driver's heartbeat and use the data captured to send an electric charge through the bodywork. 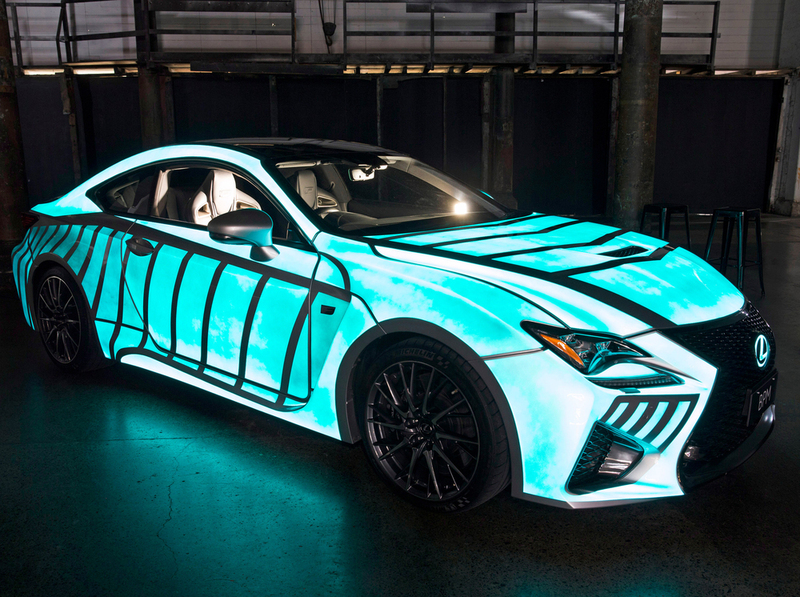 The body panels are finished in an electro-luminescent paint, produced by the US specialist Luminor, which reacts to the charge with an intense glow, pulsing in the same rhythm as the driver's heart rate. Sean Hanley, Lexus Australia Chief Executive, said: "This latest concept follows other innovative projects we have developed this year, including smart outdoor advertising billboards that respond to the car you're driving. The heartbeat car also links to another key part of Lexus - high performance vehicles - via our F marque models, and the emotional responses a machine like the RC F can inspire in a person." Powered by a new 5.0-litre, 32-valve unit developed specifically for the RC F and matched to a specially calibrated eight-speed Sports Direct Shift transmission, the new Lexus delivers over 450bhp and 520Nm. The UK will receive two versions - the RC F and the RC F Carbon with prices starting at £59,995 OTR.